The Auditors Deep Learning Dashboard analyzes and reports on risks and controls. 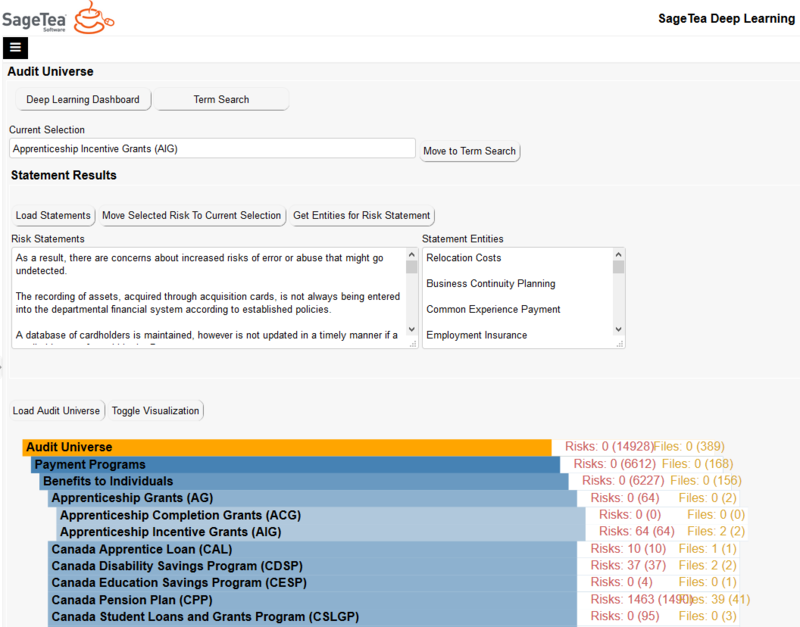 This easy to use online tool can be loaded with auditors reports which are then processed using artificial intelligence. 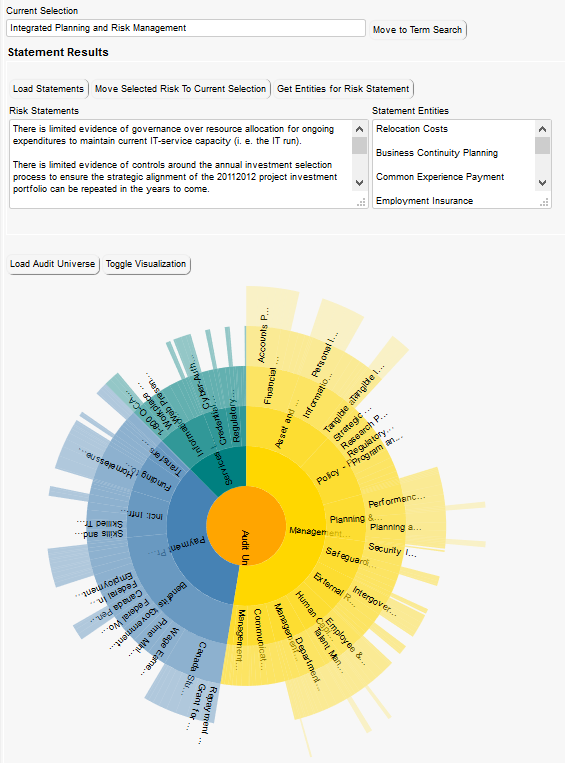 The Auditors Deep Learning Dashboard analyzes and reports on risks and controls. This easy to use online tool can be loaded with auditors reports which are then processed using artificial intelligence. We recommend using our Deep Learning Support Service with this product. Includes 5 Low Code App Users. The AI solution is built to interact with the unstructured data found in audit reports to better allow analysts to analyze risks and generate insights. The solution includes an underlying AI capability that can scan audit reports and score statements on the extent to which they resemble a risk statement (between 0 and 1). This capability was developed with the help of ongoing solution training by auditors (i.e. supervised machine learning). At the top of the page, the user can choose to move to one of the features of the solution (e.g. Audit Universe, Term Search) by pressing one of the five buttons. 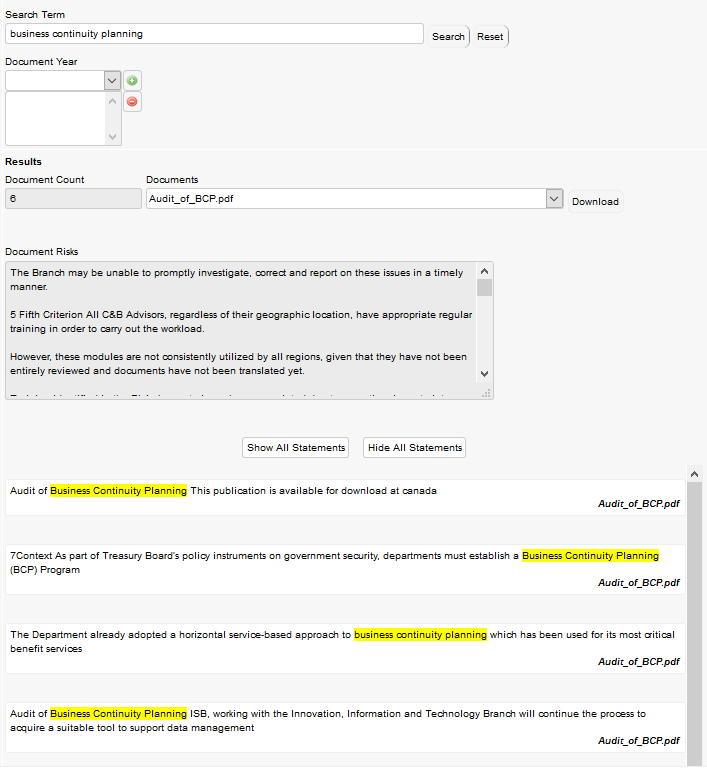 The Dashboard provides a top 10 list of the audit universe entities with the most flagged risks. The current methodology is to match risk statements with a risk score above a 0.7 threshold (the threshold can be raised or lowered on an ongoing basis) with audit universe entities that are covered in the same report. File Content Totals helps a user understand how much information has been ingested into the solution (by keywords, sentences, paragraphs, pages and files). 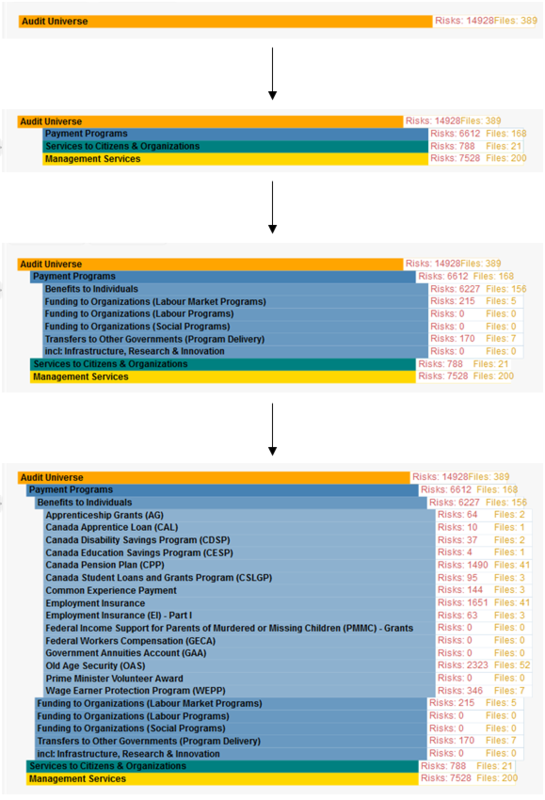 The diagram allows users to view flagged risk statements for entities within the documented audit universe. This is done by clicking on an audit universe entity in the universe tree and then pressing the “Load Statements” button. Users can also click on a specific risk statement and press the “Get Entities for Risk Statement” button to see the audit universe entities that the risk touches upon. By pressing the “Toggle Visualization” button, users can switch between a universe tree visualization and a sunburst diagram visualization. Users have the option of transferring to term search by pressing the “Move to Term Search” button. The next section will describe the capabilities of the Term Search feature. User can search for any term/phrase and see the statements where the term/phrase appears, as well as the document for each statement. User can select any of the documents in which the term/phrase appears and see all the risks that were flagged in that document. Searches can be filtered for specific years or ranges of years by clicking the “Document Year” tab and using the “+” and “-“ icons to add and remove years. Documents can be downloaded by pressing the “Download” button. 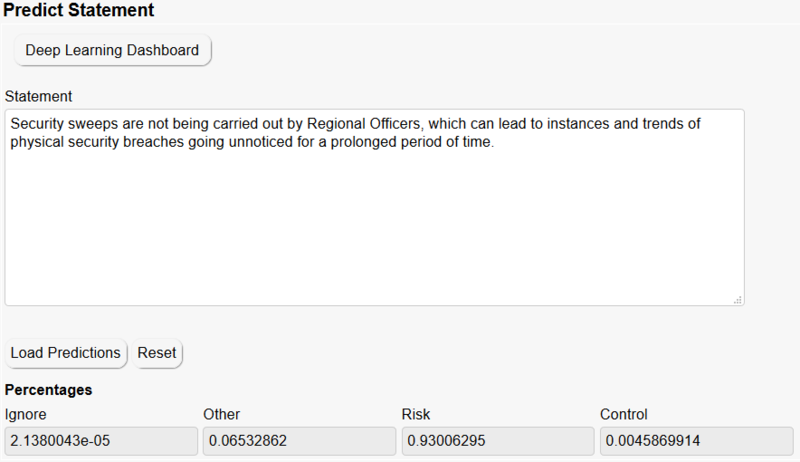 User can type in any statement and view the associated risk score (between 0 and 1). The higher the score, the stronger the solution believes the statement to be a risk. 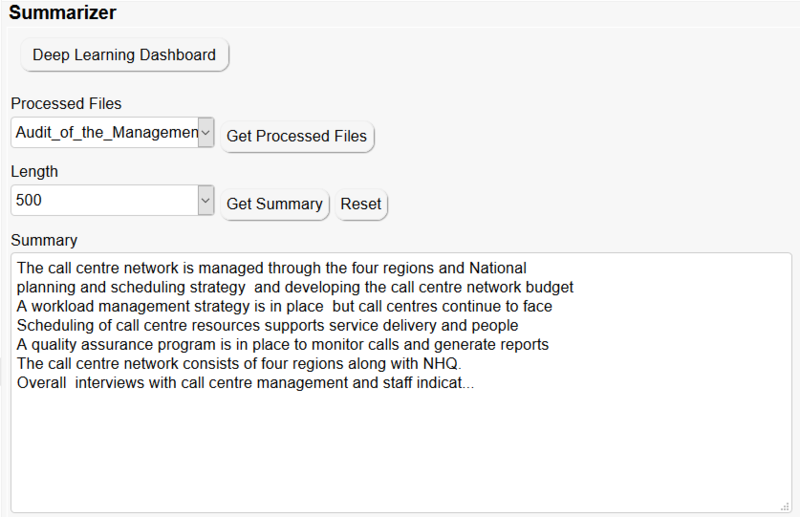 User can choose any report and summarize the report into 100, 200, 300, 400 or 500 characters. User can select an entity from a pre-set list and view up to two levels of parent-child relationships for that entity.